It can be hard to find a casserole dish that's vegetarian. Most casseroles are meant to be complete meals for families that eat meat. 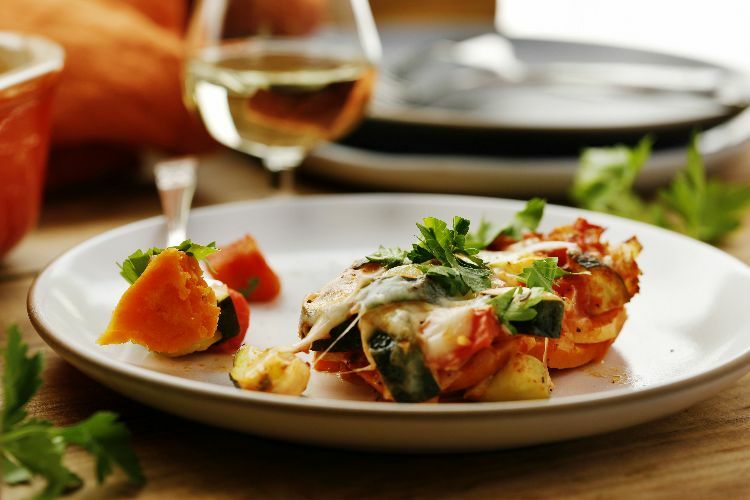 In addition, they typically include only a starch and some vegetables as well as meat. As the recipe below shows, however, it's entirely possible to make a vegetarian casserole whether it's because you're a vegetarian or because you just need a vegetable dish as a side. You can't get much healthier than this version. Zucchini and sweet potatoes are both packed with tons of nutrients and vitamins, and you'll feel better after eating it because you've done something amazing for yourself. In fact, it's so delicious, even those who eat meat will love it. Heat the olive oil in a large skillet over medium heat. Once hot, add the zucchini, onions and garlic. Cook just until the onions begin to soften, about 3 minutes. Stir in the diced tomatoes, tomato paste and Italian seasoning. Cook, stirring frequently, until the mixture begins to simmer and remove from heat. 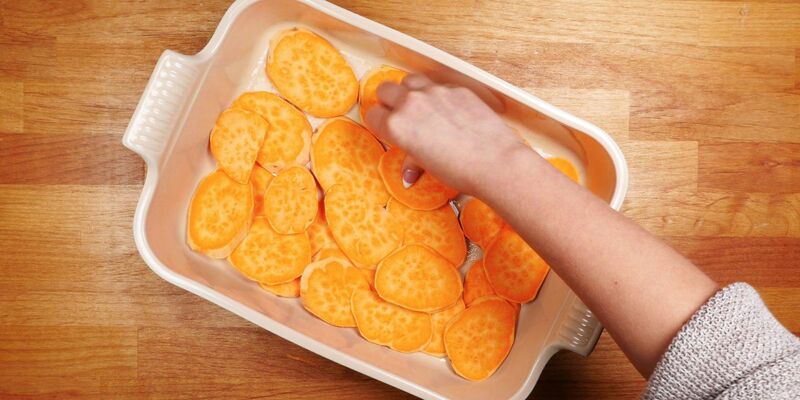 Place the sweet potato circles into the bottom of the greased casserole dish. Pour the zucchini and tomato mixture over top and sprinkle with mozzarella cheese. Put the casserole dish in the oven and cook for 25 to 30 minutes, until the cheese is melted and the potatoes are tender. Sprinkle with fresh parsley just before serving.